Super Bowl is this weekend. Since I shared healthy game day recipes last week, I decided to share my All Beef Chili with Espresso today. 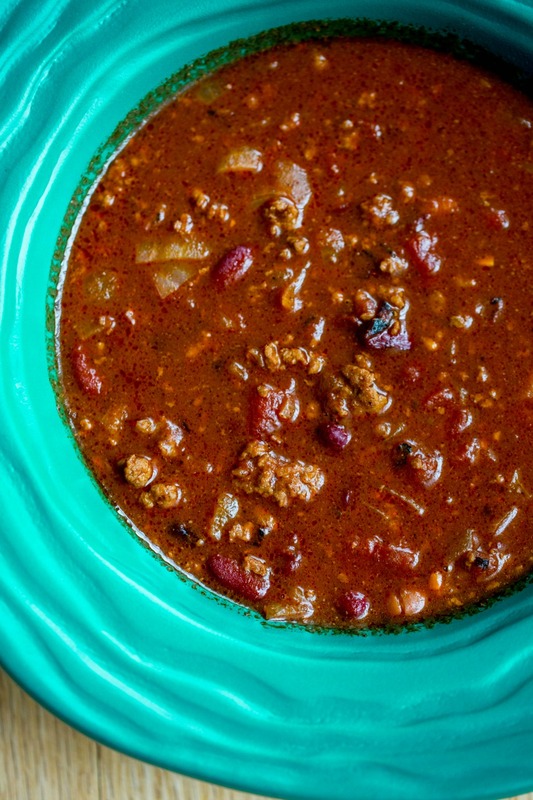 What Super Bowl party doesn’t have chili? Well mine always did. 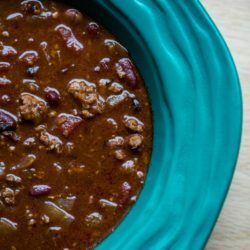 I doubt I’ll be watching the game on Sunday, but that doesn’t mean I can’t share my favorite chili recipe with you. 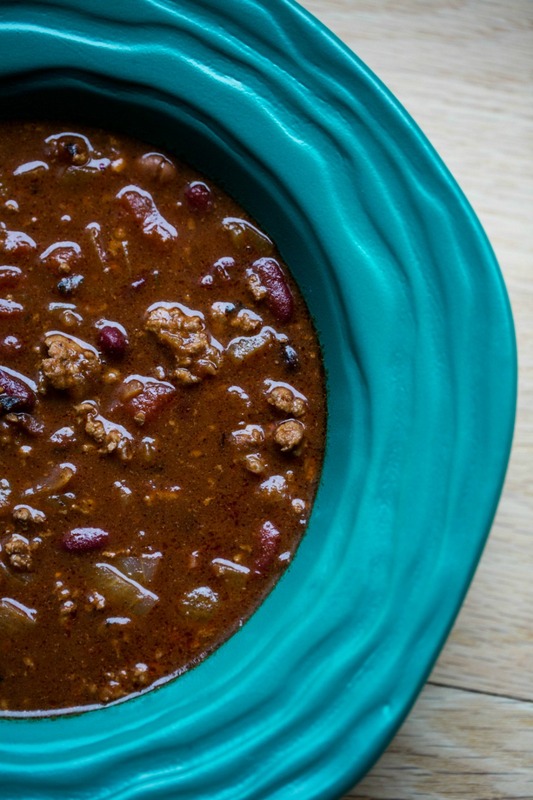 My kids prefer this Autumn Maple Tenderloin Chili. I like it too, but more often I prefer creating simple recipes when serving a crowd. Recipes that can be put together quickly, without too much of a fuss. My All Beef Espresso Chili fits the bill. In this recipe I use ground sirloin, which is lower in fat. You could always replace the ground sirloin with chicken, turkey, pork, tofu, or just veggies – the choice is yours. However, do not eliminate the Espresso Powder – that’s my secret ingredient! I purchased mine from Williams Sonoma and always have a jar on hand. 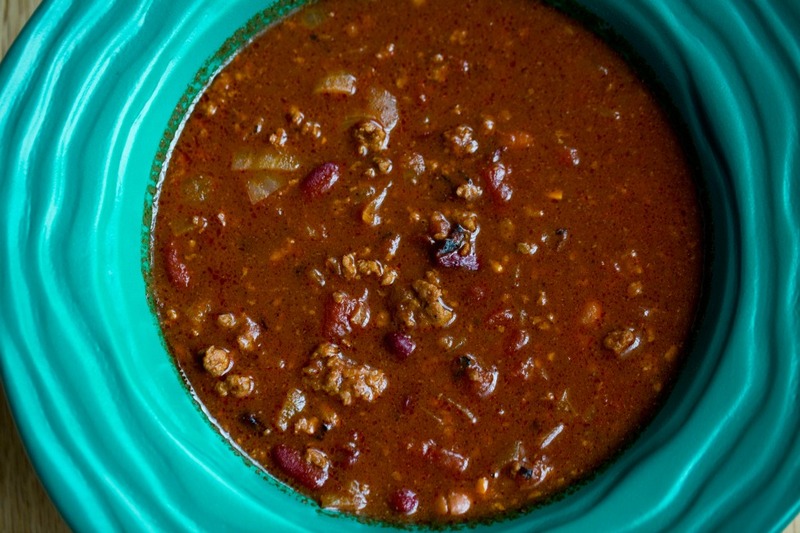 The Espresso Powder gives this chili a smooth, rich, and savory flavor. Making it impossible for others to detect, but keeps them coming back for more. If chili is a staple at your Super Bowl parties, then I hope you’ll try my All Beef Chili with Espresso. I’m certain you and your guest will love it!!! What are your favorite recipes to serve for Super Bowl? I hope you will share them in the comments section and please leave a link to them for others to check out. Do you like my All Beef Chili with Espresso? Please share it on Instagram, or your other social media channels and link back to me. 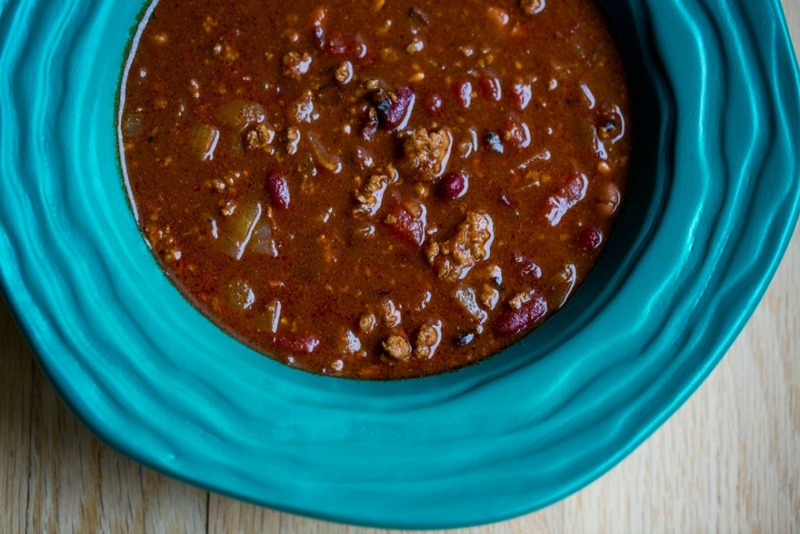 My All Beef Chili with Espresso is so smooth, savory, and rich. You'll wonder why you never thought to add espresso powder before! Saute onion in olive oil until tender, then add garlic and briefly saute. Once beef is brown add remaining ingredients. Bring to a boil, then turn heat down and simmer for 2 hours or longer if desired until thick and rich. Serve with a dollop of sour cream or plain yogurt and cheddar cheese if desired. I love to add espresso powder, sometimes even some dark chocolate, in the chilli too! Yours sounds and looks so good with beer in it. Oooh, I will try this with my next batch of chili! I always have espresso powder on hand, too! Have a great weekend, Vicki!!! This looks wonderful Vicki. I love the deep, rich color! Chili is wonderful, isn’t it? Perfect weather for it, too. We always have espresso powder on hand in our freezer, so we’re always ready for a recipe that requires it. Good stuff — thanks.